Organic Foods- Can They Cause Still Cause Cavities? Most caregivers are well aware of the role sugar plays in the dental decay process. We all have naturally -occurring germs in our mouth that feast on the food we ingest. Once bacteria digest the food, they produce acid which is a precursor to tooth decay. There are a lot of misconceptions to what foods contain sugar and additional ingredients that put our children at increased risk to develop tooth decay. According to the American Academy of Pediatrics and American Heart Association, children over age 2 years should consume no more than 6 teaspoons (25 grams) of added sugar each day. The AHA recommends parents watch food labels for added sugar in the form of fructose, high-fructose corn syrup, glucose, honey, lactose and sucrose. Having a balanced healthy diet is integral to oral health as well as overall health. Frequent snackers and diets rich in carbohydrates in the form of sugar and/or starches pose as risk factors for tooth decay. Sugar can be found in many processed snacks even those that do not taste sweet- such as cereals, Goldfish crackers, pretzels, granola, popcorn. Pay attention to the textures of food as well. Foods such as raisins, dried fruit, organic fruit snacks are extremely sticky and often times young children fail to chew these foods completely, allowing debris to remain on teeth for long periods of time. Gummy vitamins are part of this list, as they are often sweetened with sugar alcohols and are extremely sticky. Often times, parents may not know if the child should be using fluoride toothpaste since they are not able to spit. We advise parents monitor the sugars both added and hidden that your child is being exposed too. 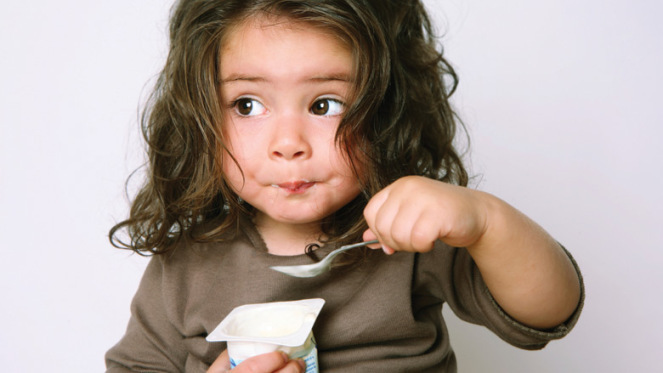 Be careful of sweetened beverages such as flavored milks, smoothies, pouches, juices, in addition, to flavored yogurts. We advise that in general a child be brushed with toothpaste that contains fluoride as soon as the first tooth erupts. Discuss specifics of toothpaste, frequency, fluoride supplements with your pediatric dentist at your child’s first dental appointment. A healthy diet and oral hygiene regimen can serve as an excellent oral health foundation for your growing child.